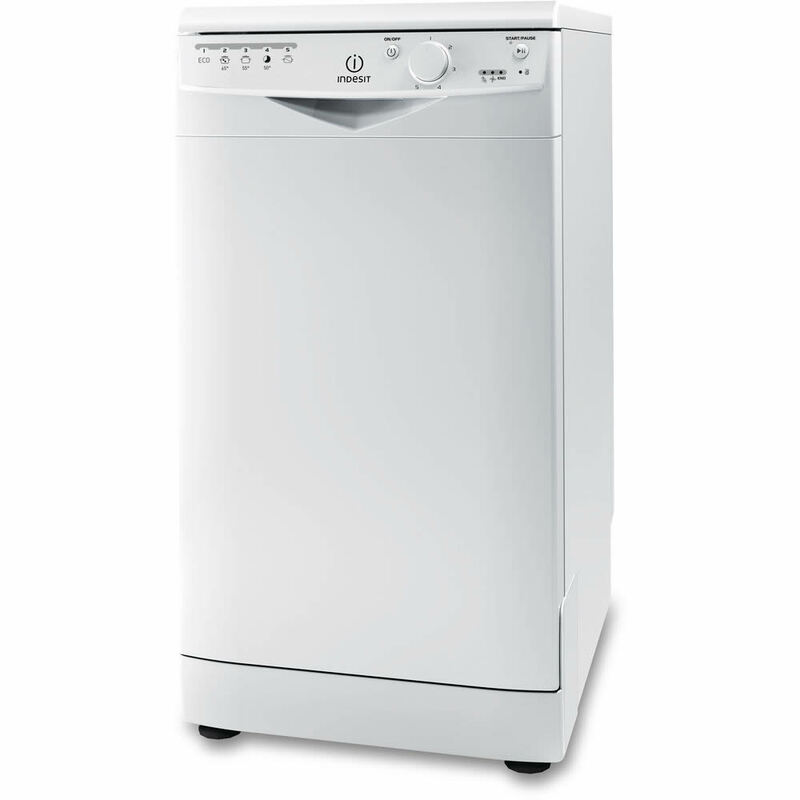 ""Zing through the washing up with the Indesit Slimline DSR 15B1 UK Dishwasher in white. Featuring a full stainless steel tub for improved hygiene, this model also includes a four stage filtration system to prevent food debris from sticking to your crockery and pans. Clean up to 10 place settings in one go and using only 10L of water &ndash; a great saving compared to traditional hand washing. 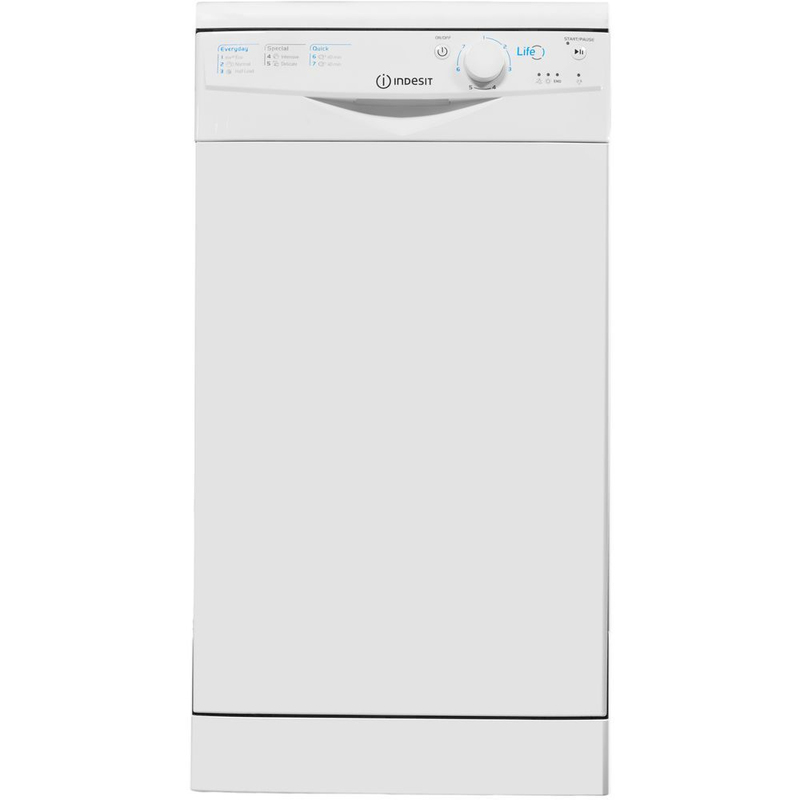 Just one of the many ways the Indesit Slimline DSR 15B1 UK Dishwasher achieves its A+ energy rating. With five programs including Rapid, Intensive, Pre-wash and Eco, there&rsquo;s an ideal cycle for every need. 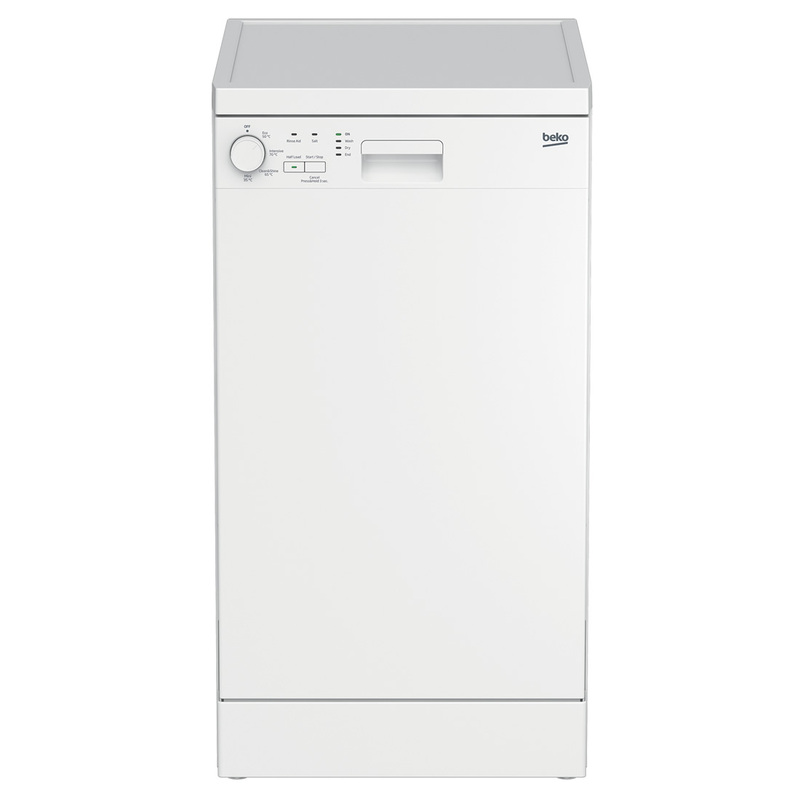 Slimline to fit into any space, plus a self- balancing door to prevent mishaps, operate the Indesit DSR 15B1 UK Dishwasher via the easy-to-use LED display ""
""Zing through the washing up with the Indesit Slimline DSR 15B1 UK Dishwasher in white. Featuring a full stainless steel tub for improved hygiene, this model also includes a four stage filtration system to prevent food debris from sticking to your crockery and pans. Clean up to 10 place settings in one go and using only 10L of water – a great saving compared to traditional hand washing. 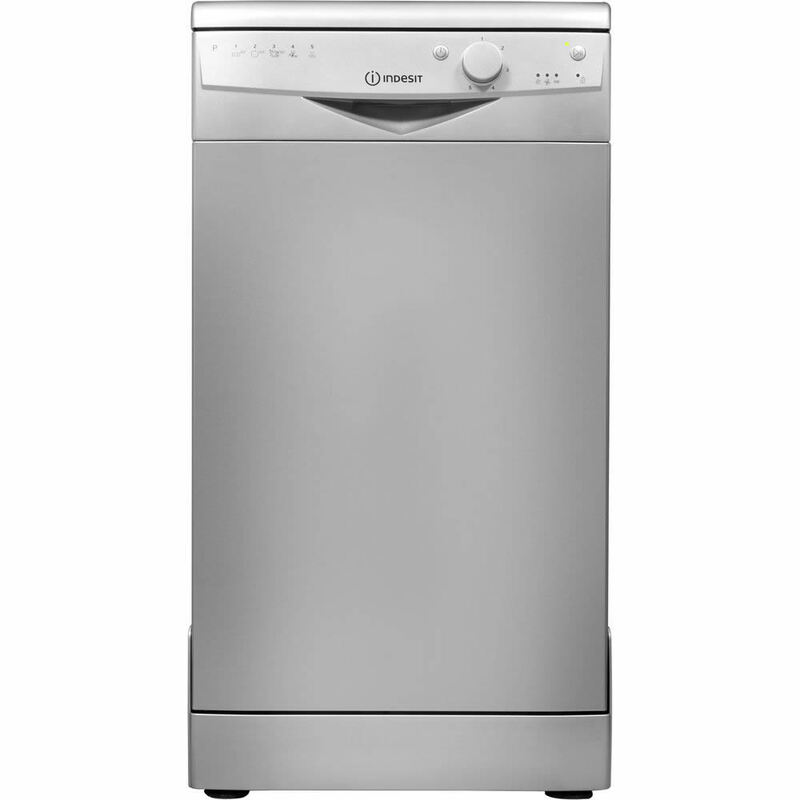 Just one of the many ways the Indesit Slimline DSR 15B1 UK Dishwasher achieves its A+ energy rating. With five programs including Rapid, Intensive, Pre-wash and Eco, there’s an ideal cycle for every need. 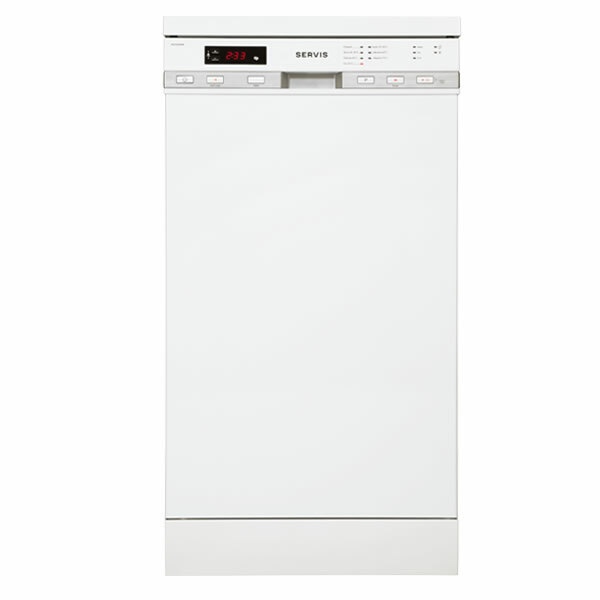 Slimline to fit into any space, plus a self- balancing door to prevent mishaps, operate the Indesit DSR 15B1 UK Dishwasher via the easy-to-use LED display ""
""This dishwasher from Servis is ideal for smaller households where space is at a premium. it features a 10 place setting capacity, adjustable top shelf and removable cutlery basket combine with 7 programmes and a half-load sensor to give a economy washes when needed . "" 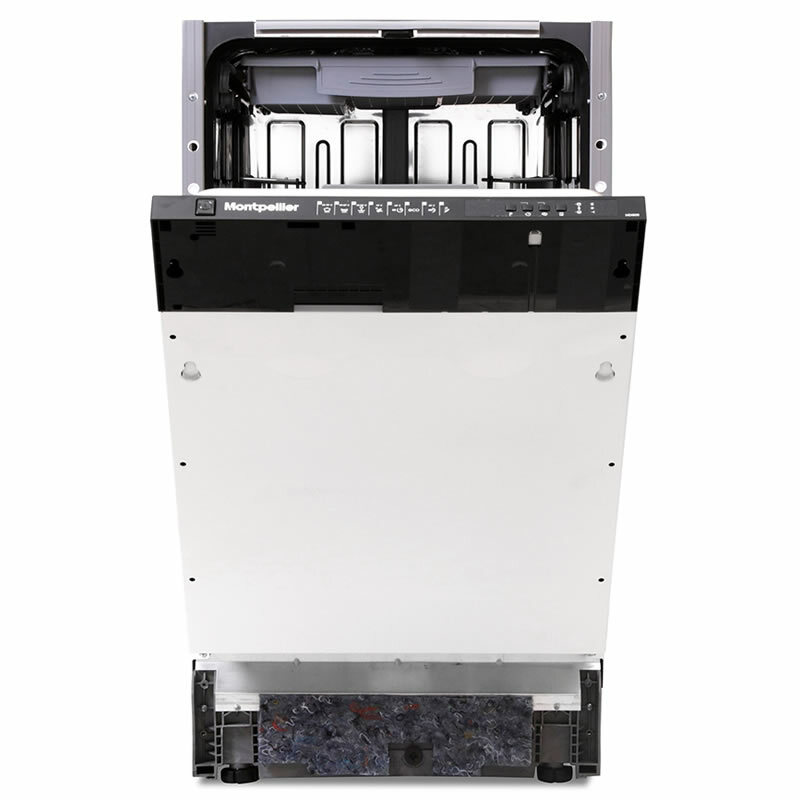 ""The MDI450-2 Fully Integrated 45cm Slimline dishwasher hides nicely behind a cupboard door. Simple and straightforward, this appliance has no complicated settings. Simply load the machine, select the required program and away you go. Simplicity at it’s best. "" 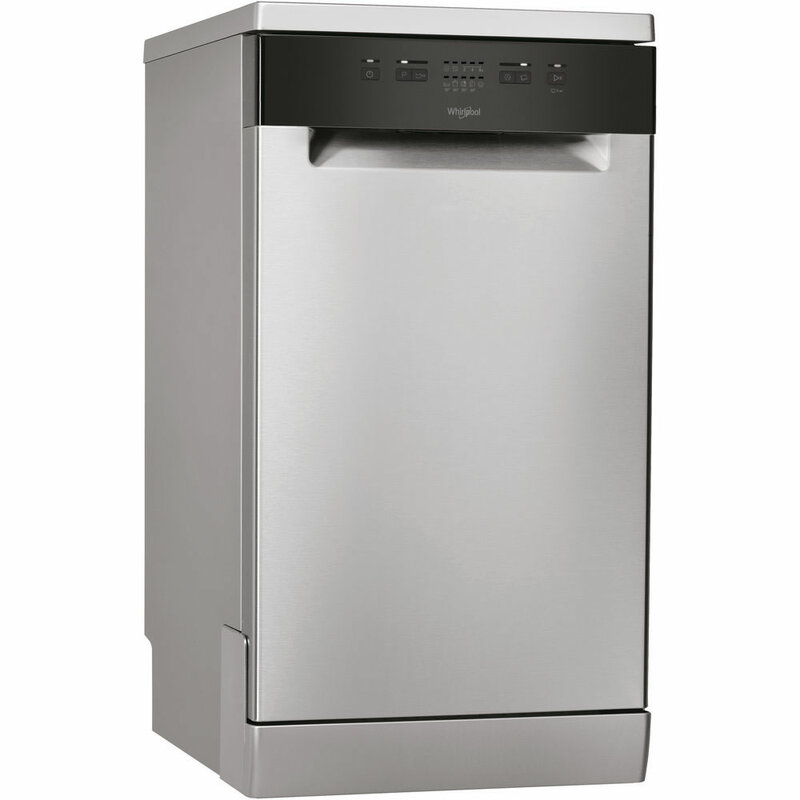 ""The MDI500 Fully Integrated 45cm Slimline dishwasher hides nicely behind a cupboard door. Simple and straightforward, this appliance has no complicated settings. Simply load the machine, select the required program and away you go. Although it is slimline it features a top cutlery tray that has individual grooves for every item, meaning cleaner, brighter and shinier cutlery. "" 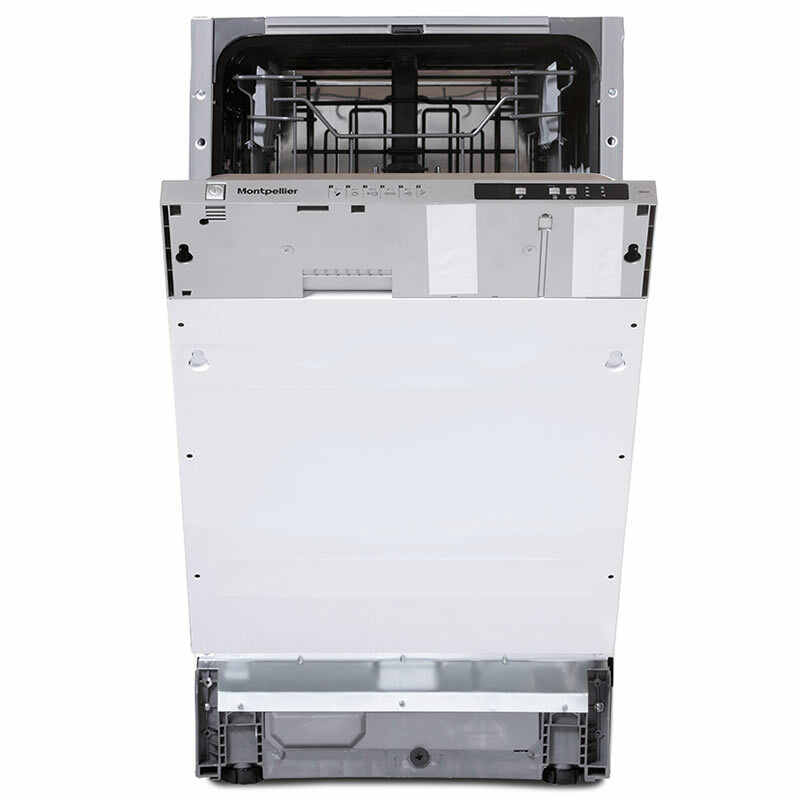 ""The Whirlpool WSFE 2B19 Dishwasher in stainless steel combines style and function to deliver exceptional cleaning results for up to 10 place settings. Select from the six wash programs, easily accessed through an intuitive Digital Display - pans, crockery and cutlery come out sparkling and table-ready. 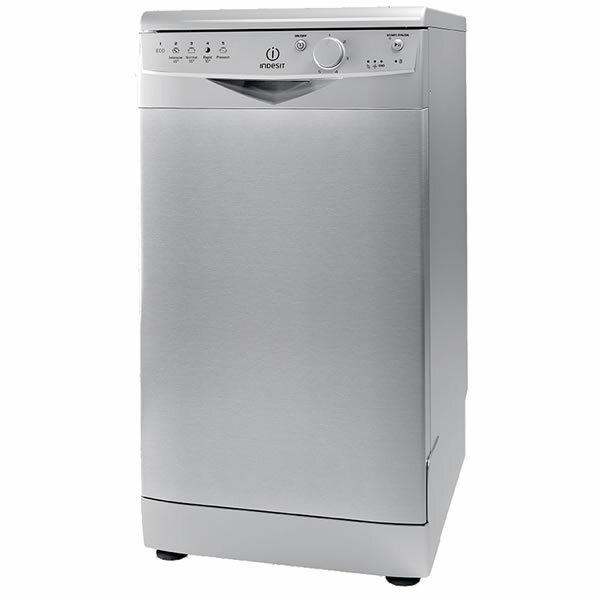 Using 10L of water per regular cycle, the Whirlpool WSFE 2B19 Dishwasher offers a time and resource efficient solution to washing up by hand, with a sleek style that will complements every décor. The Start Delay option allows you to set the Dishwasher to begin its cycle whenever most convenient for you, saving you both time and energy. Your Dishwasher's adjustable upper rack allows you to create extra space when needed, as well as fit unusually-shaped items, effortlessly. ""